Hi, I'm Erin! Six years ago I was tired, overworked, and fed up with my life… so I quit the cubicle and left everything behind in search of my bliss. De la Pura Vida is where I tell the story of how I let it all go and in a tiny treehouse in the Costa Rican jungle discovered a freer, healthier, happier life. I've financed my digital nomad lifestyle through this blog, with graphic design (Evergreen Design Studio) or by unplugging and trying new things. I've dabbled as a full time traveler, a journalist, an editor-in-chief of a newspaper, a translator, an English teacher, a house sitter, and a yoga teacher. I'm hoping to soon call myself an author... of a book! 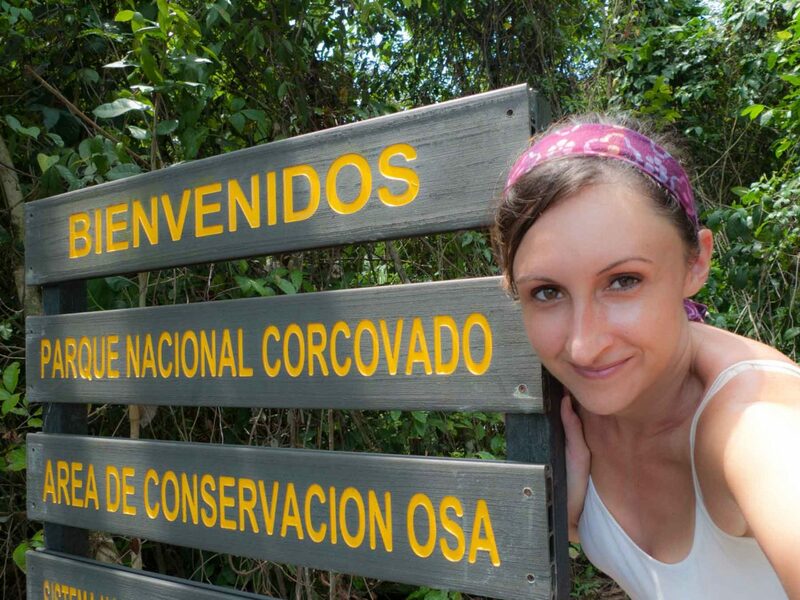 This little ol' Costa Rica blog has opened up many new opportunities for me! De la Pura Vida can mean many things such as "it's all good," "from Costa Rica," or... "made from pure life." It embodies a fresh positive message, and I chose it so I can take it with me wherever this adventure leads. I came to Costa Rica for the first time in 2008 and absolutely fell in love with the abundant wildlife, the culture, and a guy. Despite fantastic friends, my family, an obsession with league tennis, a mortgage, a lifetime of possessions, and a steady job with great benefits, I moved myself and my nine-year old dog to Costa Rica in early 2010. I originally had dreams of starting a travel business, but the market seemed too saturated, it never happened, and the relationship dissolved. One thing Costa Rica has taught me is to be flexible. I stayed in the country because I LOVE it! I thrive on keeping the windows and doors open year round, on the self reliance expected of everyone, on beautiful imperfections, on cool salty breezes on hot sandy days, on towering puffy rain clouds in brilliant blue skies, and on being surrounded by the freshness of a thousand different greens. In Costa Rica, I learned that I can make my own version of life, that I am talented enough to start my own business, and that I can surround myself with the things I love, things that make me happy. 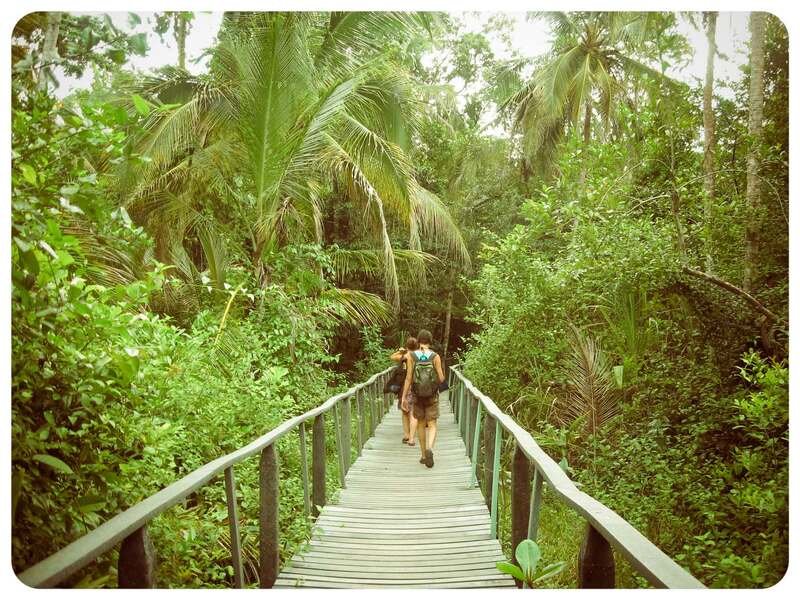 In Costa Rica, I discovered a freer, healthier, happier, more creative life. When I'm not documenting my journey, I'm creating art, designing, practicing yoga on the roof, speaking Spanglish with my friends, meditating, preparing food as medicine, trying not to step on my tiny dog while hiking in the mountains, watching epic sunsets on the beach... or getting lost in the jungle. I look happy in that white water rafting photo because they took it before we went down the river, before we flipped the raft 4 times and I almost died. Costa Rica isn't always sunshine and butterflies haha. Explore content based on Destinations or Topics: Art & Creativity, Costa Rica Tips, Expat Memoirs, and Food & Wellbeing. Start by reading my packing list. It's got a lot of essentials beyond clothing, like the best eco-friendly bug spray tested over time and in many different places by yours truly. Then peruse posts by destination. Do not miss my posts in Costa Rica Tips. Here you can find great on advice on working and finding a place to live in Costa Rica. 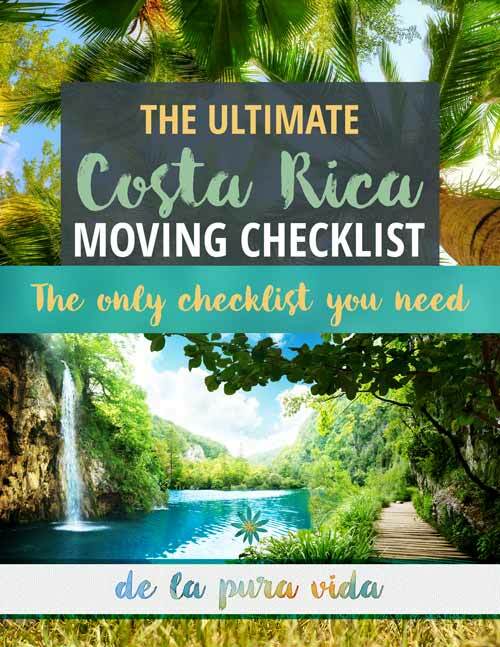 You can also download a free resource guide on moving to Costa Rica and ask me questions about it here. This page Costa Rica Resources: Links and Useful Info for Expats and Travelers is useful if you are traveling in or moving to Costa Rica. Want to know more about how to start your own location independent business online so you, too, can work remotely? Then check out this post that I update regularly sharing my secret tools and story of how I went from a full time office worker to a location independent freelance designer and blogger. I create art, write, and do graphic design for individuals and small businesses. Reach me at [email protected] to discuss opportunities. You can peruse my published articles and photographs here, shop my art here, and explore my designs here. Stay updated, keep in touch, don't miss out! To receive updates by email, subscribe by filling out that form down there. To connect socially, find me on your favorite networks below. You can contact me by leaving a comment below or by filling out the form on the Contact page. Tales of letting go, starting over, and living the good life in Costa Rica straight to your inbox. I am making the Tamales but wondered what and where to get the “two giant handfulls of leftover meat grease from your local butcher shop”. I have no idea what this would be. Can I use fat cut off beef or pork, or is it Lard? Maybe butter, or veg shortening? You can see my confusion! Thanks for a great blog, so much covered! I am pretty familiar with Costa Rica and will be there in Jan for my 11th trip there, to visit my strip of land with coffee on it. HI there I came across your blog while at work day dreaming about our awesome trip to Costa Rica last week and how cool it would be to live there! So I am jealous. Tell me about living there the true “cost to live there”. Thank you again for all your info and wonderful page! The true cost to live here varies drastically depending on your desired lifestyle. You can get by frugally with between $500 – $1000 a month depending on where you live, how you live, and how talented you are in bargaining (speaking spanish will get you far). I’ve been following your blog for some time and want to thank you for the information you’ve posted! I love your website! I am actually a Costa Rican living in Pennsylvania (Depressing Right! ), my wife is from New Jersey. I recently finished my higher education and we have decided to move back to Costa Rica. My wife was in Costa Rica once, two years ago, and we toured around the country so would see different area of the country. Even though she says that she liked the county I am aware of the cultural shock she will face when we move over there. I certainly find your website of great help for people like my wife. It is important to show every angle of the country. I like the element of positivism that you add in your articles. Keep up the good work! Pura Vida! Thank you so much for the all the kind words. I have a friend (Tico w his Gringa girlfriend) who recently moved back after being away for 10 years and the culture shock has hit them extremely hard. Mostly in the financial aspect – he was expecting the dollars he saved up to stretch out a lot further than they did. I’m telling you this because financial times are extremely hard right now in Costa Rica and I don’t blog about that. But you might know this already since you were here 2 years ago touring the country. And it seems like you are doing your research – I don’t think my friend did any! Good luck w the move! I can’t remember how I stumbled across your blog, but I have been enjoying it. We purchased a house last summer in Playa Conchal (just north of Tamarindo) and although we have not made the move down from Canada yet your stories reflect some of the fun in learning in the nuances of CR we have had. We especially liked the post on Driving in Costa Rica. I am looking forward to traveling to the Caribean side and Manuel Antonio and enjoyed those tips as well. I really like your blog, the writing, design and organization (UX). My husband and I are both artists – he’s a freelance creative director and I’m a photographer etc., so we appreciate a well done website! I just discovered your blog. I too moved to Costa Rica about 9 months ago and am living in Tamarindo. Pura vida! I am planning a solo backpacking trip to Costa Rica in early November for two weeks. I just read your most recent post and thought it was awesome. I’d like to do most of the activities you listed but am trying to determine my itinerary starting and ending in San Jose. I’m going to read your other posts but was wondering how you would plan your trip if you were me; so many things to do and so little time (at least on this trip). It all depends on your priorities, I’m not sure you can get all ten things done in only two weeks! So prioritize the activities you want to do. 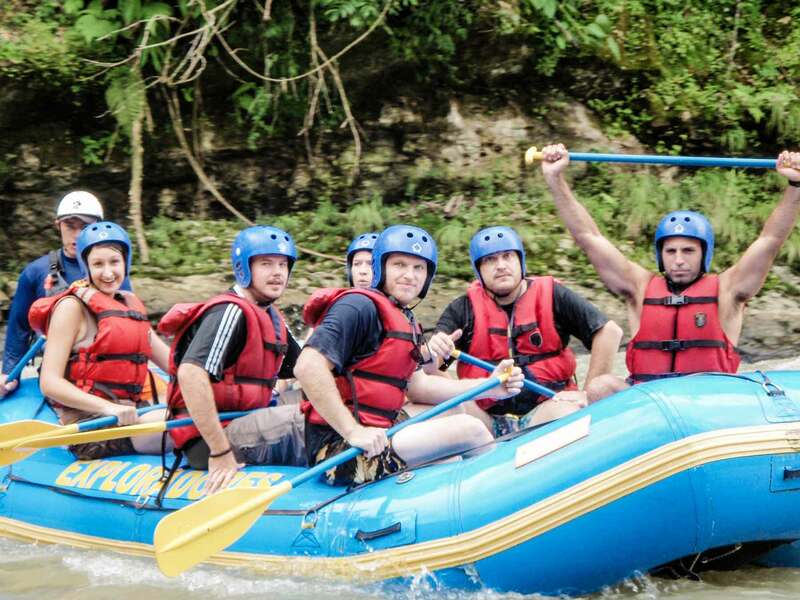 White water rafting, you can book the rafting trip that includes transportation to Arenal, San Jose, or Puerto Viejo. Both museums and coffee tour can be done from San Jose. Arenal and Monteverde are very close to each other, so it’s a good idea to plan those together. 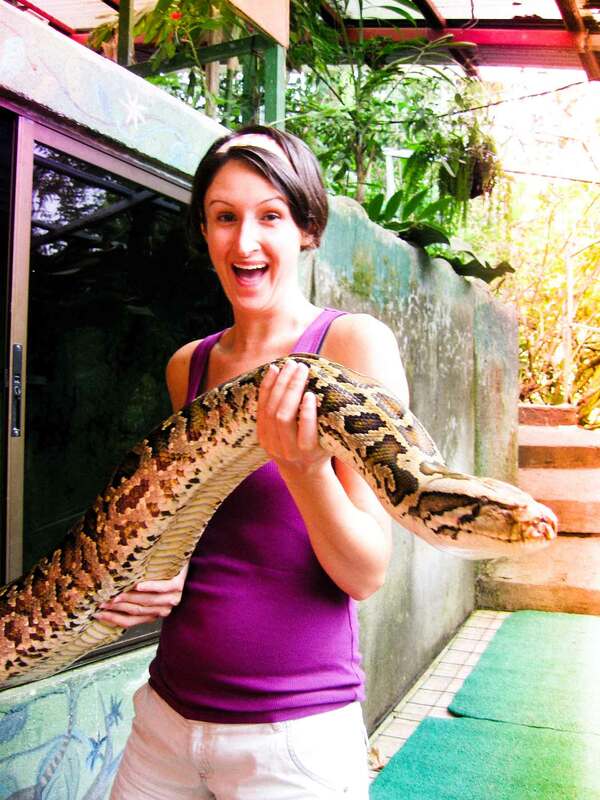 There are animal sanctuaries everywhere – monteverde, arenal, beaches! You could go San Jose -> Monteverde -> Arenal by boat on Arenal Lake -> then take the rafting trip from Arenal to Puerto Viejo… or another beach. If you want to surf, check out the surfing calendars because the best time to surf differs for each beach. I just came delapuravida.com and wanted to tell you I really enjoyed reading through your posts. Your air swimming dog video was pretty cute ;). Have you fully adapted to the Costa Rican lifestyle? It looks like a beautiful country. I’ll definitely have to make my way down there someday. I stumble on your blog today during my lunch break while i was trying to gather as much info as I can about CR. Great job with the blog! I find it very informative and I enjoyed reading it. Hi I wanted to tell how much I like your site. I am coming to Puerto Viejo in Feb. It’s my first time in Costa Rica and I have been researching Costa Rica for a while now. Your site has a wealth of information for the travelor. It’s well laid out, easy to navigate, has great information and has proven to be a useful tool. Great stuff on your site. I wish I would have found it a few years ago! I will be watching the bulls this year thanks to you. haha YES so glad I turned someone on to the toros!! fascinante, genial lectura del país, kudos para la autora! Your blog has inspired me! I am currently researching areas around the world to teach as I am getting TESOL/TEFL certified. Costa Rica has been an area of my interest for years and I am determined to land a job there. I am from NY and am looking to live somewhere near the water and completely emerge myself into another culture while teaching. I am a surfer so Costa Rica has of course been on my destination list. I have been discouraged with some of my research as I have read numerous articles on the difficulty in finding a job in Costa Rica. Do you have any advice as I persue this dream of mine? I appreciate any you can give me. Thank you in advance for your time! It’s easy to find a job in Costa Rica in the Central Valley. Finding one on the coast is difficult. Most of the teaching jobs there are volunteer unless you have a lot of experience and education. I hope you can find what you are looking for! Love your blog. I follow you and Happier than a Billionaire. Looking forward to visiting Costa Rica in the next year or so with my wife and daughter. me too – she is awesome! Thanks! I stumbled upon your beautiful blog and interesting story while I was exploring this crazy dream of moving to Costa Rica. I feel a kinship with your story. All the best to you, Erin! During my process of scouring the internet for Costa Rica info, I found your blog and I have enjoyed it a great deal. I have been researching, thinking and planning about CR and the information that I have found to be most important has also been the hardest to find – honest appraisals of life in Costa Rica from the perspective of someone that relocated successfully and is living and sharing every day experiences. It’s easy to find either glowing reviews (from those who stand to make money off of people who move to CR) or haters that tried to impose their own set of standards on life there and failed…so, thanks for the real, unbiased feedback. Thanks Bill! I had the same problem before I moved and when I was first in Costa Rica. For exapmle, ask someone on the forums about a good doctor and 50 people would reply with doctors they get a commission from but don’t even go to themselves. It’s frustrating! Best of luck in your planning, pura vida! Your blog is fantastic! Amazing pictures and great writing. Very informative. I spent 3 school years teaching English in Spain and now I’m back in the no vacation nation aka America, but ready to move down to Costa Rica!! Que tengas una buena semana Santa! I really enjoy your writing. I am an American living in China as a teacher for the past nine months. I think Costa Rica might be next on my “to do” list. I currently have a master’s degree in education, but it is my understanding that it might not help much in Costa Rica…Keep up the good work. oh master’s degrees do matter here! You will definitely have an advantage. Thanks for the comment! Pura vida! I came across your website when I was googling the new Costa Rican currency. I love your profile and your stories. I lived there for a good 6 months in 2010 in a study abroad through the UCR. Just wanted to connect with another US citizen who can truly appreciate the beauty of Costa Rica. I don’t even remember how I got to this website but I am happy I did. I am a Costa Rican living in the US. I came about a year and a half ago for college, and it’s nice to read about stuff I relate to so much, like you living in Belen (I am from Heredia!). For me, it’s just terribly interesting to try understanding a foreigner’s perspective of us. It was always something that came to me anytime I saw a gringo walking down the street when I was in high school. I really liked reading through your posts exactly because of that, I was able to get some sort of idea of how an American sees us, and how that relates to my first impression of the US. So thanks a lot for that! There are also some delicate subjects that I strongly disagree with, like you mentioning Costa Rica is becoming the new Florida. But that’s the cool thing, sentences like that make you go farther and do some research and learn to reach an opinion you feel satisfied with. Anyway, best of luck with your website and your Costa Rican experience :). I’m sure you get this a lot, but it’s crazy how you can feel so connected to an experience through the internet. Hola! Thank you so much for this. I really appreciate what you said and your perspective! Been reading your blog after doing a bit of research on teaching ESL in Costa Rica – great info and very nice perspective of “feet on the ground.” THanks for giving the skinny on so many “need to know” topics… You make me want to make plane reservations now! This is a great blog! You may have addressed this already, but I’m wondering if there are any essential items that you recommend bringing from the US, which you cannot find in CR. Also, is it cheaper to eat out or to do your own cooking while in CR? There are many discussions scattered throughout my blog about what to bring / what not to bring. Everyone has a different list. It all depends on what type of person you are and what types of things you depend on! I used to think I needed to always bring down a bunch of stuff from the US every time I went back to visit, but now I only bring clothes (because I’m tall – clothes don’t fit me here). You can pretty much find everything else somewhere around here. It might cost a lot more, but it’s here. And there are always garage sales of expats who are moving away. Def cheaper to cook your own food unless you are happy eating casados everyday. I am in LOVE with your blog!!! It is so informative, funny, and aesthetically pleasing!!! I absolutely love your blog! I’ve been trying to find good information about Costa Rica for a while online and most of the websites I find are trying to sell me on something to push me to go to Costa Rica. I like that your blog is written from a real person perspective in a down to earth way. Wish I would of found it sooner I’m leaving in two weeks and you have a lot of useful info. I have added De la Pura Vida to my blog reading list. Thanks for sharing! Thanks! I hope you enjoy your time in Costa Rica! So happy you found inspiration and excitement here. Thanks for the nice comment!! Erin, what do you know about writer’s communities in C.R? I have recently been made aware that they exist, and can’t find much info on line…any 411? Thanks GW! I don’t know of any official writer’s communities. San Jose is teeming with them, though. You can usually find them at restaurants and bars after dark. Ok, so you bill yourself as a “nomadic hustler”. Hmm…that’s unusual! #1. An enterprising person determined to succeed; a go-getter. #2. Slang. a person who employs fraudulent or unscrupulous methods to obtain money; a swindler. #3. Informal. an expert gambler or game player who seeks out challengers, especially unsuspecting amateur ones, in order to win money from them: E.g., He earned his living as a pool hustler. Life is just so full of unsavory choices, isn’t it? worth their devious machinations would ever dream of blowing their own cover. (Unless, oh wait, unless you’re perpetrating an ultra-double-devious psyche-out, in which case, “Touche! Take whatever you want, it’s all yours”;my puny mind reels in stunned submission just to contemplate so surpassing a level of masterly premeditation. Resistance, oh how very, very futile indeed! But real world, I’m going with #1 an enterprising person determined to succeed; a go-getter. So how’s that working out? Is your plate full? Are you open to respectful suggestions? You might consider channeling your “hustler” into becoming a “fixer” — “a person who makes arrangements, esp. by underhanded or illegal means”, and just leave out the “by underhanded or illegal means” part. I would think it a rather smooth transition, I mean as a fixer you still have to be an aggressive go-getter on behalf of your client’s best interests, and your “in-the-know-can-do” swagger would still betray that slightly shady panache of a hustler. In my opinion, and again with respect, you are clearly a very savvy, Erin, and I believe with your years of wide-ranging experience in Costa Rica and your Spanish language skills you could pretty readily put together a delicious menu of services that you could offer to hungry prospective expats. And OMG! If you were originally thinking about opening a travel service-type biz this travel service-type biz “in reverse” would just be so obversely up your alley! Did I already say, OMG!? Oooh! And how do you spell “lucrative”! You could reasonably charge thousands of dollars because #1 it would definitely be that valuable of a service, and #2 your clients are already in the mindset of spending thousands to relocate, and at the end of the day their biggest concern is to not screw up, to not endure the angst and anguish of “buyer’s remorse”, and to not wish that they had just stayed the hell home in the first place. Also your website is already great, but it would be absolutely superlative with a video! Why? Because video makes it come alive; makes it real; and builds familiarity and trust! I swear this good old paleolithic brain of ours is utterly incapable of distinguishing between a video person and a real person. Just be yourself, have fun and you’ll naturally attract the compatible type of clientele that you’ll enjoy working with. I bet if you called up your webmaster with a preliminary inquiry about the format they require, etc., you’d engage your creative wheels and have a video up in no time. And as a parting shot, Amiga, and I won’t ruin your day in your idyllic tropical get-away with talk of stateside economic gloom and doom, but like many I think the clock is seriously winding down on “America-as-we-know-it”, and people with means will soon be jumping ship in ever-increasing numbers to the death knell refrain of “Bye, Bye Miss American Pie”. 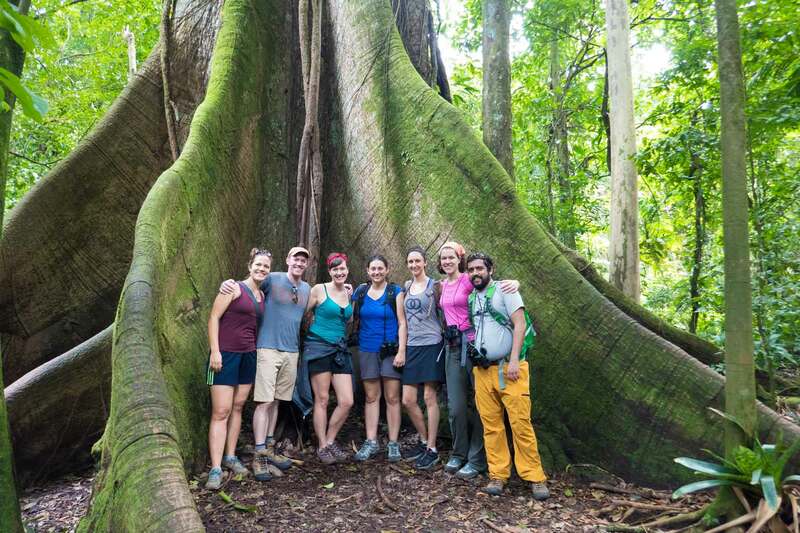 Costa Rica, more than any other country in Central America, is already a familiar destination for wealthy American eco-tourists, so when people start thinking about expatriating, you can bet many will start thinking about Costa Rica. I wish you the best success in all your endeavors. P.S. Do they make mini-freezers? Awesome comment, great suggestions. Thanks, Dale! p.s. They do make mini-freezers. I’ve seen them in Pricesmart. Hello Erin, I’m (french and..) just back from Costa Rica, and looking for information about my trip, to make my picture album.. i was surfing and found the little pearl.. your blog. I then added to the list of my blogs as i will need to spend more time reading your stories ! I have been fascinated by this country, the richness of the wildlife, and the people very welcoming… I might come back at some point ! Well done for your blog, i will definitely follow you form now on ! yeah no problem. Send it to erin at delapuravida dot com. Hope you don’t mind me asking you some questions. I am planning our second family trip to CR. Last year we went to Manuel Antonio and I fell in love with CR. I have one more year left before I lose our eldest son to University and would like to do another family trip back. Unfortunately money is very tight, probably shouldn’t be going but am doing it anyhow. So, for our next visit in October of this year I am planning to spend three nights at Arenal Observatory Lodge and then we are going to drive to Puerto Viejo and we are booking a cottage at a place called Cashew Hill Jungle Lodges. I’m thinking of renting a car from the airport (not sure which one we’re flying into yet), driving ourselves to Arenal and also to Puerto Viejo. Is it safe to drive from Arenal to PV? Any suggestions of inexpensive places to eat while at Arenal? Actually I’ll take any tips or advice you can give me if you get the chance. Thanks very much. October is a tricky month. A few years ago I could tell you that it will definitely rain a lot everyday and that Arenal would be clouded. But we are in a terrible drought and the rainy season hasn’t been as rainy. Who knows when that will end. The Caribbean has an opposite weather pattern, though, so it should be sunny there in October. Arenal is expensive. Less expensive places will be located further outside of town. Eat casados with chicken or fish – they are only like $5 and delicious. Driving is safe if you are a good driver that knows how to pay attention to the road and has common sense. Leave you car in designated parking lots…and read up on some of the good driving advice on the web. We would be particularly interested in any really cool places in Costa Rica that you could recommend for us to explore online and find information about. Hi Robin’s Class! That’s so cool that you found my blog. I’d love to recommend some places for you to explore. These are some of my favorite: Rio Celeste, Corcovado National Park, Poas Volcano, Irazú Volcano, Rincón de la Vieja Volcano. Thank you so much for sharing your wealth of knowledge on moving, living, working, and enjoying life in CR! It is greatly appreciated! I think I have read through all your posts and comments in the past few hours like an addicting book! I recently studied abroad at UCR for Spanish and fell in love with the country! (And a boy of course….but the country first hahaha- he wants to move from Puerto Viejo with me to San Pedro for more job opportunities…we’ll see) I graduate in December, which seems like a perfect time to look for a job down there! I have a lot of experience tutoring, teaching, volunteering to teach non-native English speakers and have my ESL, but my major is in Special Education. Are there any options or availability to work as a Special Education teacher? Or should I start of teaching English and work my way into teaching Special Education since my Spanish is not as strong as I think it should be? Thoughts? I already know I will be looking for places and schools around, in or near San Pedro to get the most options and the family I will stay with until I get all my things sorted out lives in Sabinilla, so not too far/bad. 2. Should I purchase global insurance before I leave the states? 3. What kind of documents should I bring with me from the states? 5. I know in the states there has been issues, but are there any dog foods that are not good to feed your dogs in CR? 7. I also wear multiple hats and am a certified group fitness, yoga, and indoor cycle instructor. Do you know if there is any options to teach those and pay? Also will it need to be fully in Spanish or Spanglish or English? I tried to take some classes when I was there, but my workload was too heavy. 8. Do you know the average cost of a cheap car or moped in CR? 9. How do I go about getting a drivers license there? 10. Will I have enough time to get my tourist visa if I’m leaving after Christmas 2014? And (might be a silly question, bug a question nevertheless) passports and tourists visas are different correct? But applied for the same way, yes? I signed up for emails and notifications on postings because I would like to stay as informed as possible and your blog has been far more helpful then any website I’ve researched! Anything else I should consider before I leave? Feel free to email me these answers or if you find a job or good info/news, just shoot me an email! Your site and work is amazing! Thank you so much! You can go through the residency process yourself by following the rules on that site, or you can hire a lawyer to do it for you for like $800 – $1500. There is no guarantee you’d be approved. Check out the paperwork you need for that process before you move because it is easier to get while you are still in the US. 4. You can’t come into the country without an exit ticket. One last comment, you need to learn Spanish if you plan on living here. Your life will be so much easier. 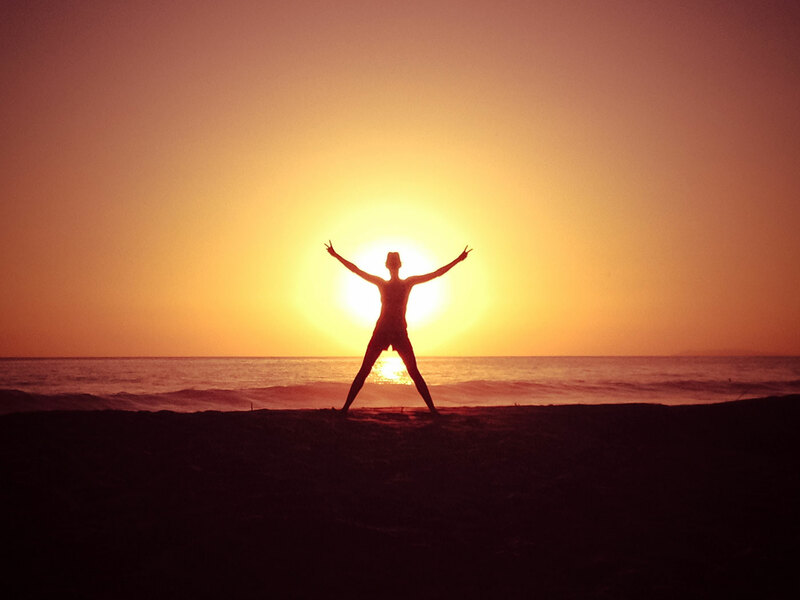 Hello, my name is Michael Burr, founder of LeaningTraveler Costa Rica App. We would love to hear your feedback about the App and if you want to become a regional expert. I have travelled Costa Rica extensively mapping and writing travel guide descriptions for the App over the last 10 years, but I am know looking to move to Costa Rica next fall. Keep the pages coming 😉 We would like to add your site to our App. We could create an Expat section in the menu and link to you.